If you’re in the market for energy-efficient residential windows, consider composite windows from ABC Seamless. 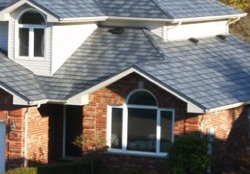 The state-of-the-art polymer composite windows we install may lower your energy bills. In addition to being energy efficient, our replacement windows are up to 400 percent stronger than typical vinyl windows, and they won’t rot, crack, or fade like wood or aluminum windows. We even back our windows with an incredible 50-year, transferable warranty. When you choose ABC Seamless, you will receive residential windows from a company that believes each homeowner deserves a custom solution. We’ll take the time to understand your unique needs and then help you select windows that will perfectly suit the character of your home. To help your windows look just the way you want, we offer a wide array of glass styles, including double pane and triple pane, as well as many options for the interior of your window framing, such as various colors and woodgrain laminates. Our outstanding selection, as well our dedication to exceptional customer service, has helped us to maintain an A+ Rating with the Better Business Bureau and earn a Top 500 Remodeler rating from Qualified Remodeler magazine. For more information and a free quote on energy-efficient residential windows for your home in Omaha, Kearney, Pottawattamie County, Bellevue, Plattsmouth, Wood River, Lincoln, or Grand Island, please contact ABC Seamless today. We also offer quality siding for Papillion, Kearney, Grand Island, and beyond.